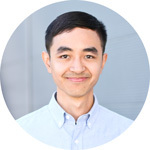 My knowledge of the Vietnamese language is about on par with my grandma’s English, so this gives us lots of opportunities to learn from each other. She watches Viet news and Korean dramas which have a surprising amount of English in them. The latest term I explained to her was “poker face” hah! I asked her what bún thang means and she said “as a kid I used to sit around and wonder how ‘oranges’ got their name–nobody knows.” As if I was crazy for asking. Luckily, mom noticed the word thang was used when mentioning Northern Vietnamese and Chinese medicine (thuốc Bắc), usually given as a mixed bag of dried herbs. I believe thang means “prescription” which in this Vietnamese medicinal context is usually a mixture. This recipe has a mixture of three different toppings not including the herb mixture, but you can commonly find variations with even five or more toppings. 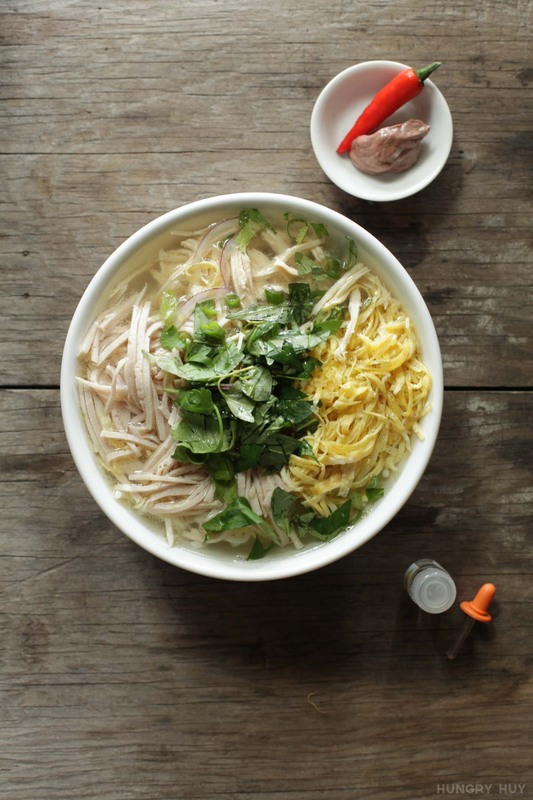 This chicken-based noodle soup originates from Hanoi, in the northern region of Vietnam. Although this delicious soup is comparatively basic in preparation and flavor, it has a rep for being fancy and fussy in its own ways. This soup uses the same noodles you see in bún bò Huế, but Grandma says you’re supposed to put Vietnamese coriander (rau răm) underneath the noodles which makes no practical sense to me. Surprise extra veg element? Some folks also get particular about making all the toppings being cut to the same size matchsticks. And of course the ‘right’ way to cook it is to use a kind of chicken you can’t even get here. Not unless you raise chickens, or have the hookup with folks who do. What’s the deal with this chicken requirement? It’s called gà mái dầu and it refers to a hen of a very specific age. Okay, I don’t know the exact age they’re supposed to be but the prized ones are old enough to have only laid eggs for about a week. Older chickens will have tougher meat, while ones that haven’t laid eggs yet are too young. 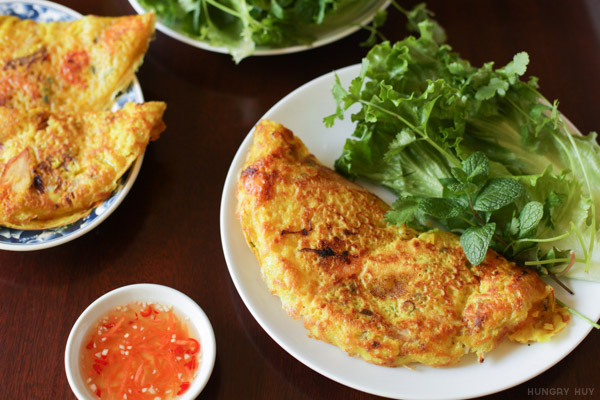 The closest thing we have to this here is gà chạy, or gà đi bộ, which is free-range chicken. 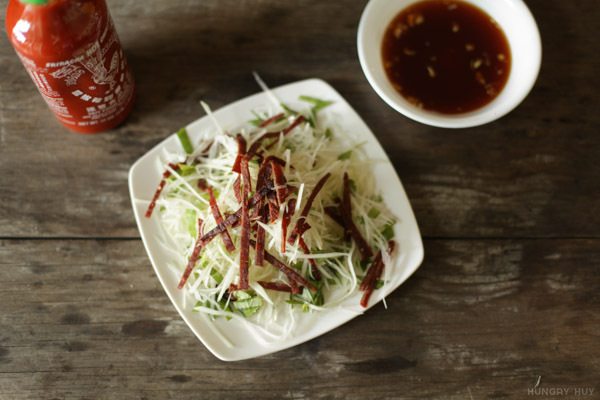 A final addition you make to your bowl of soup right before eating is a few drops of cà cuống. A fair WARNING for all you American/Western readers before you Google it, cà cuống is indeed juice from a beetle. Rather, it’s a type of extracted male beetle pheromone. The packaging on this bottle is clearly Thai. I’m not sure what Thai folks eat this with, however bug cuisine there is common so these beetles are not likely sought after just for the pheromones. I’ve only had the imitation version of this beetle essence since the real stuff is hard to come by here, but supposedly it tastes even better. In Vietnamese cuisine it’s common to add this extract to dishes like bún thang, and the prepared fish sauce for gỏi cuốn. Mom likes to remind me that the kind of soup you’d see above is abnormally loaded with extra meat and toppings compared to what she’s seen during her childhood in Vietnam. This constant reminder has me now pondering every Vietnamese meal I have: is this legit, or some super-rich American version of this dish? I can imagine a “leaner” bún thang of the 1960s and ’70s still being very satisfying, but for now will appreciate this soup for all its stacked glory. 1 16-ounce package dried rice noodles (vermicelli), thin or medium thickness. 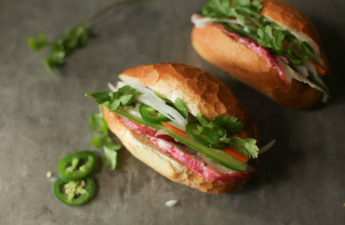 The same type used in bún bò Huế. Add chicken and all broth ingredients into a pot, except the salt. Bring to a boil, then reduce to a simmer for ~15-20 minutes or until chicken is cooked through. Season to taste with salt. Discard onion. Meanwhile, prepare the eggs. Beat eggs in a bowl and add 1-2 tablespoons water to thin it out a bit. Lightly oil a pan and add just enough egg to make a thin layer, flipping about midway. 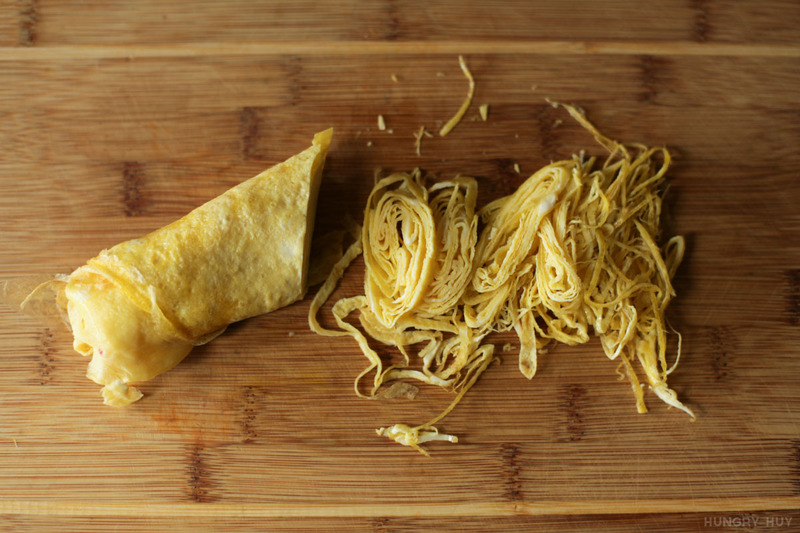 Make as many as it takes to use up all the eggs, then loosely roll the egg crepes individually to cut into strips / julienne. Remove chicken from broth when it's fully cooked. Wait until cool, then shred. 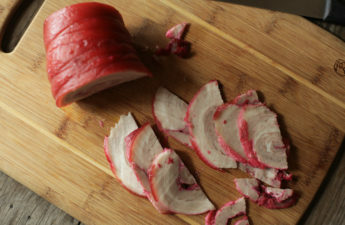 Cut the Vietnamese sausage to match the thickness of the chicken and eggs. Lightly fry or deep-fry thinly sliced shallots if you want to use this. Prepare rice noodles according to package instructions. Assemble your soup bowls. Add noodles, toppings, herbs, garnish, broth, a few drops of beetle extract per bowl, and serve. Wow, I have never had this dish before, where can I get myself a bowl of this? Thank you for being so generous and sharing this beautiful recipe! I cannot wait to make it myself! Hey Jordyn, your best bet is to go for a Vietnamese restaurant that cooks all sorts of stuff. The type of place that gives you a book-sized menu, haha. Mainly because this isn’t a soup that restaurants specialize in. At home, I added a few dry calamaris to make the broth even sweeter and more pungent. Thank you for sharing the recipe. My grandmother is from north Vietnam and she used to make this dish with 4 toppings. The missing topping is ground pork (season with fish sauce and turmeric powder, green onions, sauté in a pan). The ground pork does add another layer of flavor to the dish. 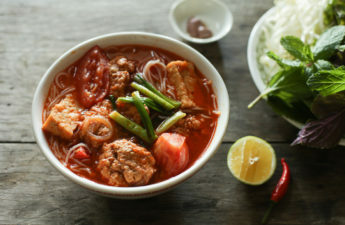 You can also add a little bit of “shrimp paste” ” mắm tôm” to the bowl, it’s yummy. I’ve only seen this in family kitchens and have not seen it with ground pork, but that sounds interesting. Thanks for the tip Le! Any more recipes in the pipeline? Tang in Mandarin, Ton in Cantonese. 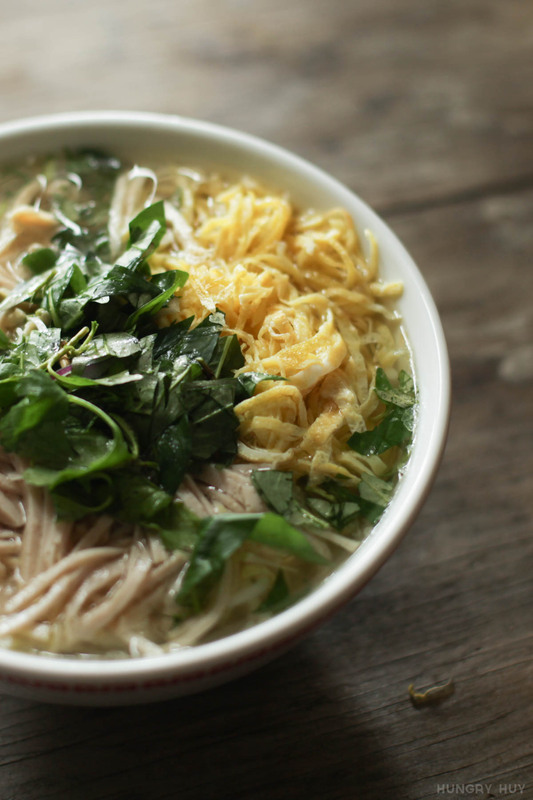 The female cook who invented this dish wondered, why all of vietnamese noodle soup, non of them have the word soup in their name? 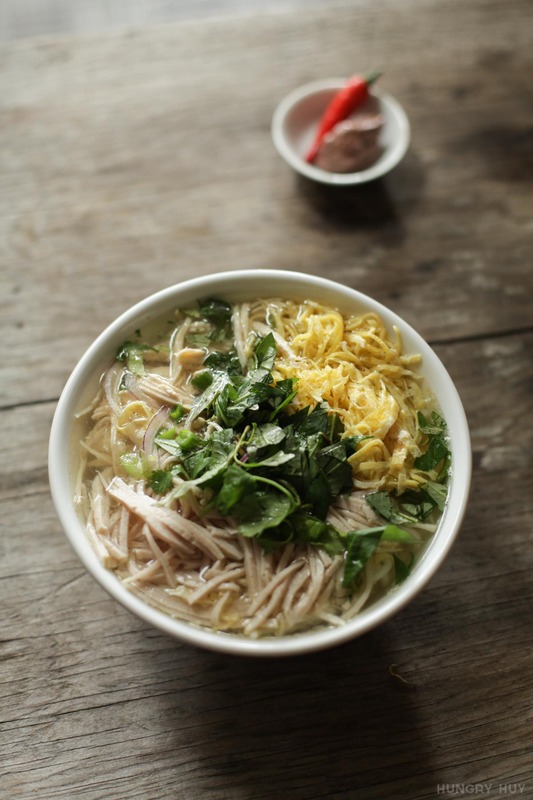 That’s why she named this dish Bún Thang… Noodle soup. 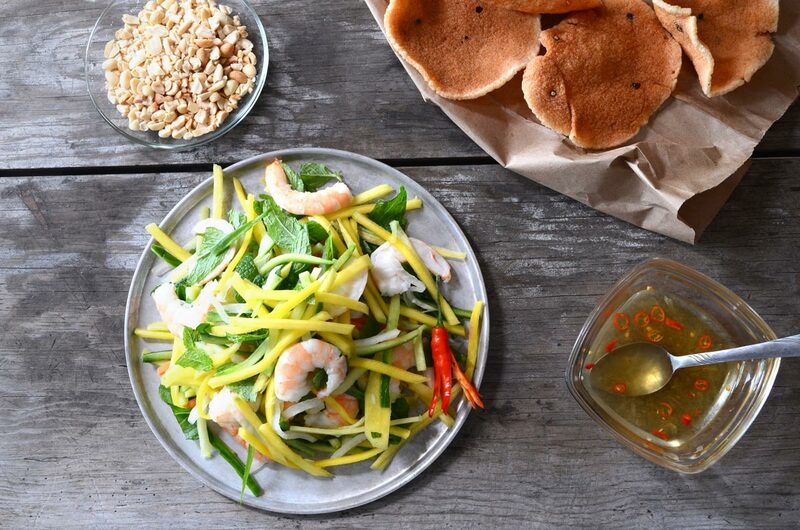 Bún thang is my favorite dish, especially when you add shrimp paste and very spicy chili oil. I prefer this over Pho. Thanks for this tip Jack, I had no idea!